The Classes Tab provides a seven day window of your calendar. 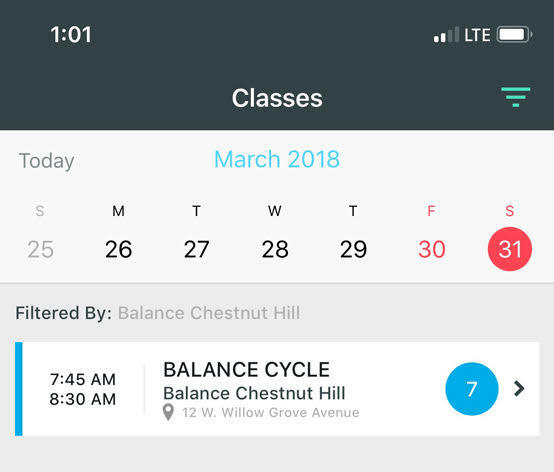 You can swipe left or right on the calendar to view past and upcoming classes. Click on the date in the calendar for the class you would like to view.